Not enough John Dillon in your life? We know how you feel! Never fear. If you're a Rutland Herald or Barre-Montpelier Times Argus subscriber, you can now read the Vermont Public Radio reporter's crisp copy in your morning paper as you eat your Cheerios and listen to him on "Morning Edition." That's because the two Mitchell family-owned newspapers have struck up a new content-sharing arrangement with Vermont's statewide public radio station. 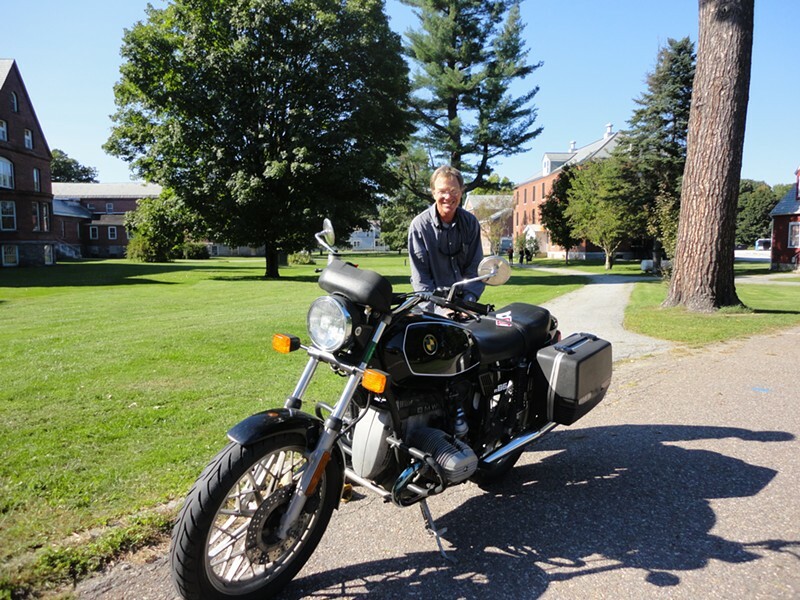 "It's part of VPR's strategic goals to consider partnerships that would benefit the people of Vermont," says VPR senior vice president John Van Hoesen. "We look for partnerships that help to inform the audience to the highest degree that we can." Here's how it'll work: The Herald and the T-A will run print versions of stories filed by VPR's three Statehouse reporters: Dillon, Bob Kinzel and Kirk Carapezza. In return, Herald and T-A reporter Peter Hirschfeld will contribute radio versions of his stories to VPR and appear on air, according to Rob Mitchell, state editor and heir apparent to the two newspapers. "That's a bit of a bigger jump for us because our reporters aren't used to talking," Mitchell jokes. 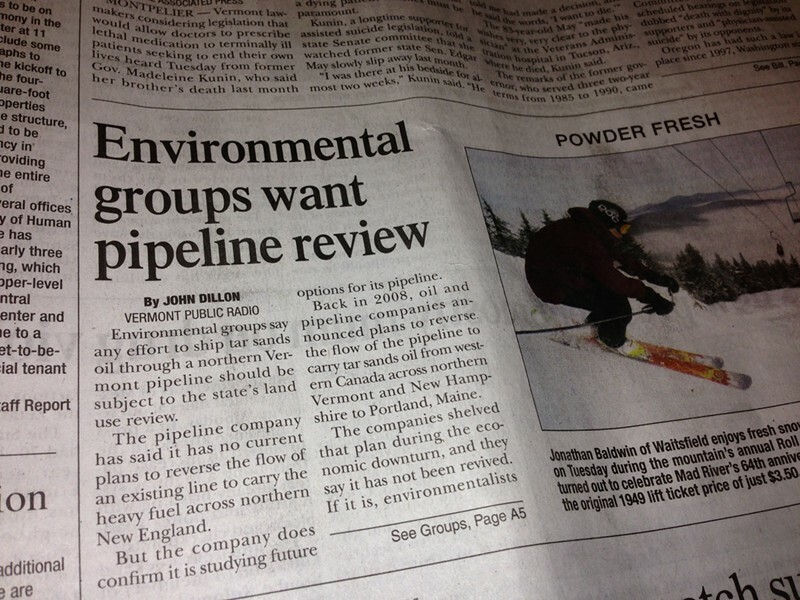 The first instance of shared content appeared on the front page of Wednesday's Times Argus: a Dillon piece about environmental groups' fears that tar sands oil could be piped through Vermont (pictured at left). In a way, it's a homecoming for Dillon, who worked for the two papers from 1985 until 2001, when he jumped ship to VPR. Van Hoesen himself worked for the Herald for more than two decades; he last served as the paper's managing editor. "Having a familiarity with what would work for both broadcast and print organizations did help me understand how a partnership like this could work," Van Hoesen says. Both organizations characterized the move as a means of providing more content to their respective audiences. That said, neither outlet plans to add reporting staff as part of the bargain. In fact, as we noted two weeks ago, the Herald and the T-A recently downsized their Statehouse bureau from two and a half reporters to one. VPR, on the other hand, dispatched Carapezza to Montpelier for the legislative session to contribute to the station's news blog. So what's next for media collaboration in Vermont? If I get my way, perhaps we'll soon see VPR's Mitch Wertlieb spinning Grateful Dead tracks on Vermont Public Television's "Vermont This Week."